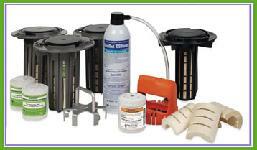 Horizon Pest Management, Inc. offers termiticide treatments as well as termite baiting systems. Contact us for a free consultation on how we can best eliminate your termite problem. A Phantom barrier treatment is a slow-acting termite treatment designed to eliminate termite colonies slowly, so that all termites in the colony are effected by the treatment. A trained termite technician will treat the soil and foundation of your home with the most effective and long-lasting treatment process in the industry today. This perimeter barrier protects the structure from termites with a wide, continuous chemical zone. Termites outside of the barrier will also be effected by the treatment, and any termites that may have entered the area inside the barrier are eliminated. Following the treatment, we recommend annual inspections to monitor for further termite activity, maximizing the effectiveness of this termite control method. Call 718-338-1447 to have an inspector provide you with a thorough inspection and more information about barrier treatments and liquid termite control. 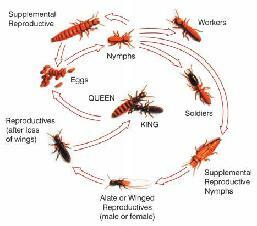 Termite Control- Two Million homes a year are damaged as a result of termite infestation. Our technicians will implement a series of the most sophisticated methods of treatment available. Termites aggressively feed on the Advance compressed termite bait containing Puri-Cell and the active ingredient diflubenzuron. After a colony is eliminated, the TBC is replaced with a new TIC. The technician continues to inspect these quarterly to discover any new colonies that might enter the area.